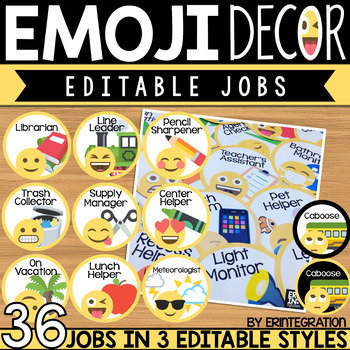 Emoji Job Cards - 36 jobs to use or edit and write your own! 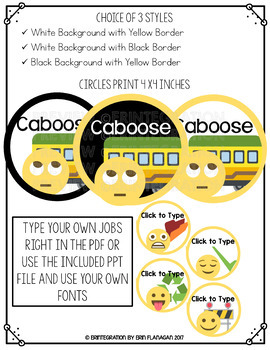 These editable Emoji job cards can be used in a pocket chart, ribbon display, bulletin board or magnet whiteboard. Each set comes with your choice of 3 styles. 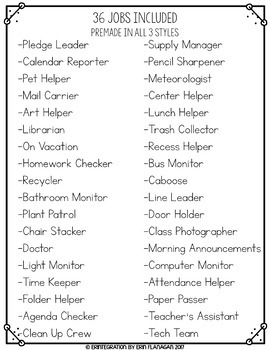 Job titles are completely editable RIGHT in the PDF or use your own fonts and edit the included PowerPoint file. ★ 3 choices of job sign to display. ★ Editable PowerPoint to write job titles in your own fonts. Individual job pieces measure approximately 4 inches x 4 inches. 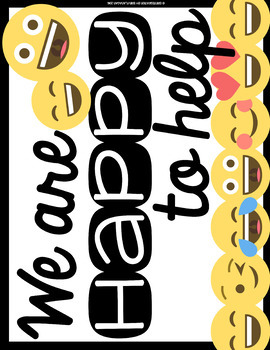 This can easily be adjusted smaller when printing.